Color/Consistency A thin, clear, pale yellow to greenish yellow liquid. Aromatic Summary / Note / Strength of Aroma A top note with a medium aroma, Sage Essential Oil has a herbaceous scent with strong musty notes. 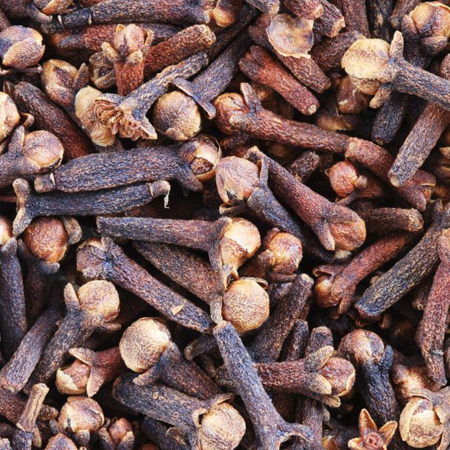 Blends With Bergamot, Lavender, Lemon, Origanum and Rosemary. Salvia officinalis has been used since ancient times for warding off evil, snakebites, increasing women's fertility, and more. 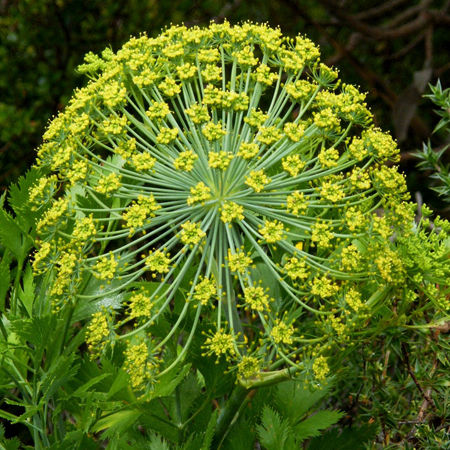 theophrastus wrote about two different sages, a wild undershrub he called sphakos, and a similar cultivated plant he called elelisphakos. Pliny the elder said the latter plant was called salvia by the Romans, and used as a diuretic, a local anesthetic for the skin, a styptic, and for other uses. 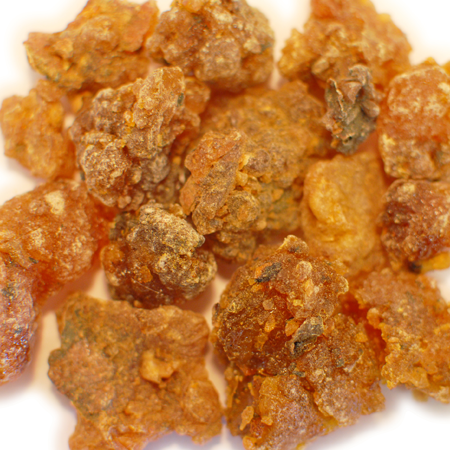 This essential oil is extracted by steam distillation of sage leaves and is constituted mainly of aesculetinen, alpha-humulene, alpha thujene, alpha-thujone, alpha-terpineol, alpha terpenes, alpha-pinene, alpha maaliene, Aromadendrene, beta pinene, beta copaene, beta-thujone, borneol, camphor, cineole, caryophyllene oxide, camphene, delta cadinenes, linalool, limonene, myrcene, ocimene, octanol, paracymene, para cymenol, salviol, terpineol, thujanol, and terpinolene. Being a nervous stimulant, those with epilepsy, hysteria, or a history of either, should avoid using it. 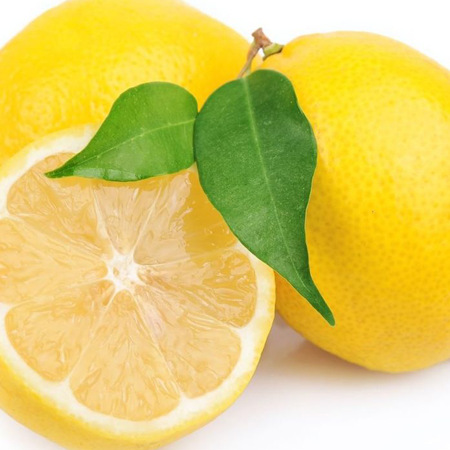 Furthermore, since it contains camphor and camphene, which are toxic in nature, it should be avoided during pregnancy. Contraindications Should not be taken in oral doses. Our dermalmaximumis based on 60%total thujone contentwith adermal thujone limitof0.25%. 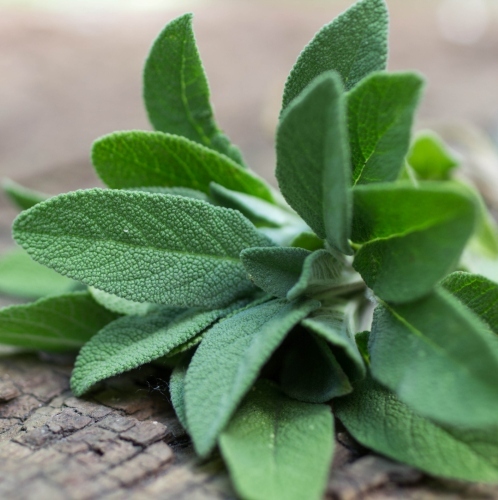 The Commission E Monograph for Dalmatian sage oil gives a contraindication for oral dosing in pregnancy, and a warning that prolonged ingestion may cause seizures, but otherwise a daily dose range of 100–300 mg. 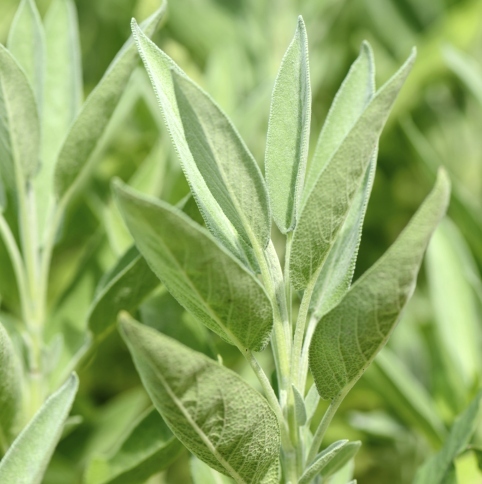 In 2009, the European Medicines Agency concluded that ‘the benefits of sage oil do not outweigh its risks. Adverse skin reactions Undiluted Dalmatian sage oil was moderately irritating to rabbits; tested at 8% on 25 volunteers it was neither irritating nor sensitizing. A 24-hour patch test using undiluted sage oil produced one irritation reaction in 20 volunteers. A 65-year-old aromatherapist with multiple essential oil sensitivities reacted to both 1% and 5% sage oil. Cardiovascular effects A subcutaneous injection of 39 mg/kg of sage oil caused hypoglycemia in both normal and alloxan-diabetic rats after one hour. In contrast, Eidi et al found no significant change in serum glucose levels in streptozotocin-diabetic rats for up to five hours after ip administration of 0.042, 0.125, 0.2 or 0.4 mL/kg of Dalmatian sage oil. 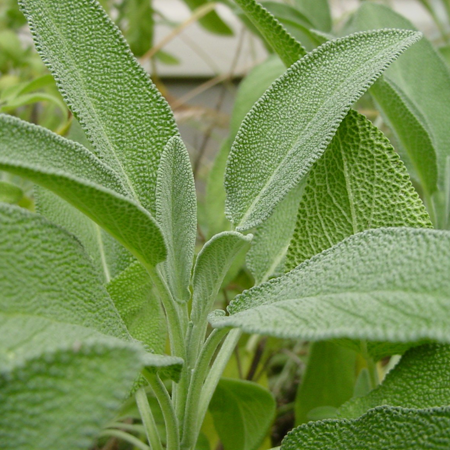 Neurotoxicity Convulsions appeared for sage oil at over 500 mg/kg ip in rats. 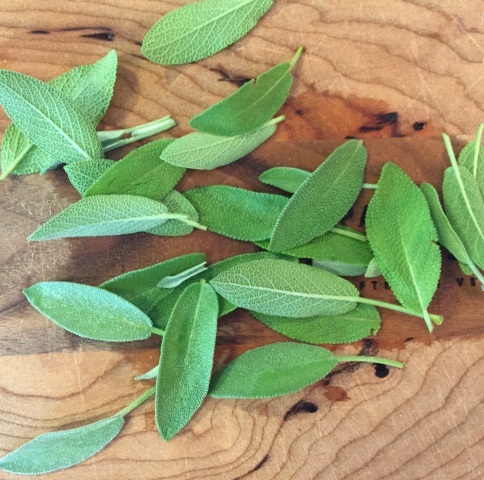 A 44-year-old woman who weighed 133 lb died hours after ingesting two easpoons of sage oil as a treatment for asthma Before dying she suffered epileptiform convulsions. Doctors reported cardiac failure and dyspnea, and estimated that she had drunk 0.25 oz. Post-mortem examination showed only slight damage to the stomach and small intestine. The lungs smelled strongly of sage, and were ‘emphysematous’. No other organ showed any sign of damage. In a second case, convulsions occurred in an adult who accidentally ingested one ‘swallow’ of sage oil. In a third case, a 54-year-old woman ingested at least one ‘swallow’ of sage oil. After 30 minutes she suffered a tonic-clonic seizure and remained unconscious for one hour. In a fourth case, a 53- year-old man ingested 12 drops of sage oil. He rapidly developed a tonic-clonic seizure followed by a 15 minute coma. Neurological tests were normal. In three further non-fatal cases, all in Turkey, accidental ingestion of sage oil by a newborn, a 1-month-old boy and a 5 1/2-year-old girl was followed by seizures. Reproductive toxicity When Dalmatian sage oil was fed to pregnant mice for two weeks, it negatively influenced the distribution of embryos according to nucleus number. Hepatotoxicity An essential oil of Salvia officinalis with 17.4% a-thujone, 13.3% a-caryophyllene, 12.7% 1,8-cineole, 8.3% borneol 3.9% b-thujone, 3.3% camphor was tested for toxicity to rat hepatocytes. The oil was not toxic when present at concentrations of 200 nL/mL or less. However at 2,000 nL/mL significant LDH leakage and glutathione decrease occurred, indicating cell damage. 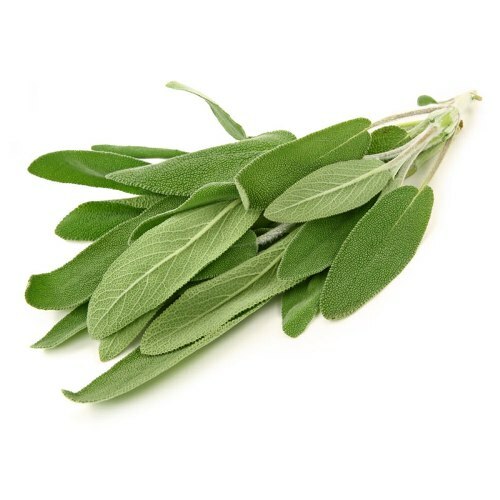 Acute toxicity Dalmatian sage oil acute oral LD50 in rats reported as 2.6 g/kg both by Opdyke and Von Skramlik acute subcutaneous LD50 in mice 1.95 g/kg acute dermal LD50 in rabbits >5 g/kg. Antioxidant/pro-oxidant activity Dalmatian sage oil showed high antioxidant activity as a DPPH radical scavenger and against lipid peroxidation. Carcinogenic/anticarcinogenic potential Dalmatian sage oil was antimutagenic in Salmonella/microsome, E. coli K12, and S. cerevisiae D7 reversion assays. Given orally to mice at 25, 50 or 100 mL/kg, Dalmatian sage oil was not mutagenic at the low dose, but was slightly mutagenic at 50 mL/kg. At 100 mL/kg the oil was cytotoxic. Both of the lower doses inhibited CA induced by mitomycin C. Dalmatian sage oil was active against human melanoma and renal cell adenocarcinoma cell lines in vitro. It was cytotoxic to human oral squamous cell carcinoma cells, with an IC50 of 135 mg/mL. In an analysis of thujones in Salvia officinalis, three chemotypes were determined with total thujone contents of 9%, 22–28% and 39–44%. However, a total thujone content of 30–50% is not unusual in Dalmatian sage oils More than 50% is very uncommon, but we have allowed for 60% in the above safety calculations. The Commission E Monograph daily oral dose of 100–300 mg seems unsafe.